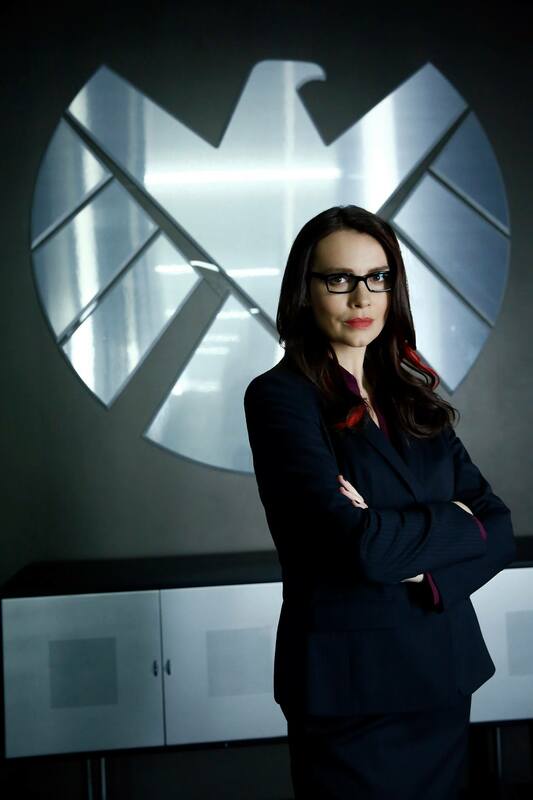 Marvel's Agents of Shield speculation- Who is the Clairvoyant? Spoilers: The Clairvoyant's Identity Revealed? This post gives a run down of potential major characters as well as connects to other theory posts. Look below for more information and posts on the clairvoyant. The Clairvoyant is somehow related to Edison Po the creepy military general that Raina “The Girl in the Flowered Dress” breaks out of prison using her super human centipede soldiers. Po at one point tells Raina that the Clairvoyant does not like to be touched. It seems that Raina broke out Po for the primary purpose of communicating with this mysterious Clairvoyant character. She also seems very flirty with Po, which leads me to believe she is playing him, likely hoping to gain access to the Clairvoyant. It also bears noting that Caulson has explicitly said that he does not believe true Clairvoyants exist. The Clairvoyant is described as a male by the girl in the flower dress but this could be a red herring. The Clairvoyant is connected to Quinn the venture capitalist who has appeared as the villain in two episodes. 1) MODOK –Was MODOK created in Iron Man 3? What would MODOK look like on TV? Morgan Le Fay- Has magical abilities to see the future. Shield/ Victoria Hand - The female spy may have access to all the data she needs at Shield to seem like a Clairvoyant. The Zodiac group could possess either the intel or cosmic powers to be both Clairvoyant and have the strength and funding to be Centipede. The Zodiac group is the Clairvoyant? The Enchantress-There is small but growing possibility that Amora could be the Clairvoyant. Is the Enchantress the Clairvoyant? Madame Webb – A clairvoyant in the Spiderman stories. She is perhaps the most well known of the Clairvoyants but in my opinion is too tied to the Spiderverse to make an appearance with the agents. The High Evolutionary – Herbert Wyndham- A huge amount of story goes into this guy. Yes he is Clairvoyant amongst other things but I don’t see him hanging around Po. Unless you plan on seeing talking animals start making regular appearances on the show then this one is out. (I do harbor a secret hope that Rocket Racoon from Guardians of the Galaxy makes an appearance in agents that would be so wacky that it would be totally awesome). Mutants with Clairvoyance – Gateway, Blindfold, and Lil Bro. Any of these characters could be brought in but so far Disney/Marvel has left mutants to Sony so seeing any of these characters make an appearance is unlikely. Algrim/Orikal – Both of these characters are alien/extra dimensional Thor characters. I do not see them being part of the Agents of Shield series at ALL. Agents did have an Asgardian themed show, which was complete with its own Asgardian character and an Asgardian artifact. I still have a hard time seeing these two brought into this series. They do not fit into Hydra/AIM/Shield spyverse. The Grim reaper, Eric Williams – brother of Wonderman. This guy has a long back story and I don’t see how it fits into AIM/Hydra/Shield universe of agents of shield. Dr. Doom – Nope. He would absolutely be running the show. Also he has been introduced already in the Fantastic Four movies. 4D Man – This one is possible simply because he is such an unknown character that the show could effectively do whatever they wanted with him. Tristam Micawber- A psychic detective who tries to find the blood stone for Baron Zemo. He is a very obscure character. Once again the only reason this character would appear would be that the show has carte blanche to change him as they see fit. He also does have relationships with Baron Zemo and Captain America so at least an AIM/Hydra connection is not out of the question. After looking at this gallery of characters I tend to lean toward the Clairvoyant being a new character of some sort specifically created for the show. While, I would like to think MODOK is a possibility I just think that bringing in a giant floating head would be too risky for them. I guess we will all find out soon enough! News things learned about the Clairvoyant in its a magical place episode. 3) The Clairvoyant was not too attached to Po. Centipede seems to be a pure meritocracy and a ruthless one at that. 4) The power of Clairvoyant still sounds like a mutant or spiritual based but I still think that is a red herring. I think we are going to end up with something like MODOK. Whether it be a giant computer or a floating head only time will tell. I decided last night I need to re-watch Iron Man 3 as I feel that the Clairvoyant could be someone who had been injected with Extremis and survived. I really think it could be Aldrich Killian. It would explain a lot about Centipede, where they got started, their technology etc.